The Citi® Double Cash Card is a cash back credit card with no annual fee and an unusual, but not overly complicated, rewards program. 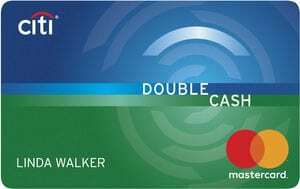 As the name suggests, Double Cash earns cash back rewards twice – once when you spend, and again when you pay off your card balance. Cardholders who take advantage of both earning opportunities get an effective unlimited 2% cash back rate, which is about as generous as no-annual-fee cash back cards get. Citi Double Cash competes with a host of other no-annual-fee cash back cards, including Chase Freedom and Discover it. Thanks to its generous rewards program, it’s also comparable to fee-bearing cash back cards such as the Blue Cash Preferred Card from American Express ($95 annual fee), as well as with travel rewards cards such as the Chase Sapphire Preferred Card ($95 annual fee). However, unlike many of these cards, Double Cash doesn’t have a sign-up bonus. Currently, there is no sign-up bonus for this card. Purchases earn unlimited 1% cash back. Every payment made on your card’s balance also earns unlimited 1% cash back, as long as you make the minimum payment. When you pay your balance in full by the statement due date, this card therefore earns unlimited 2% cash back. You’re free to carry a balance for as long as you want and still earn cash back on eventual payments. Of course, the interest charged on carried balances offsets and overwhelms your cash earnings over time. Once you reach the $25 minimum redemption threshold, you can redeem your accumulated cash back rewards for a paper check, statement credit, gift card, or bank account deposit, subject to some restrictions. If there’s no purchase or payment activity in your account for at least 12 consecutive months, your accumulated rewards expire. This card has a 18-month 0% APR promotion for balance transfers. To qualify, balance transfers must be made within 4 months of account opening. Balance transfers do not earn cash back. During the promotional period, purchases continue to accrue interest at the regular APR. Following the end of the promotional period, regular APR for balance transfers rises to range between 15.74% and 25.74%, depending on your creditworthiness. There is no annual fee. 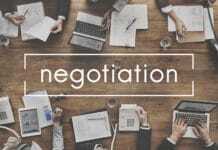 Foreign transactions cost 3% of the transaction amount, cash advances cost the greater of $10 or 5%, and balance transfers cost the greater of $5 or 3%. Citi Double Cash also comes with Citi Private Pass, which confers VIP access to major events (such as concerts and sporting events), as well as exclusive access to more intimate experiences (such as celebrity dinners). This card requires good to excellent credit. A few minor blemishes on your credit record aren’t likely to disqualify your application, but more serious issues probably will. No Annual Fee. Citi Double Cash doesn’t have an annual fee. This further boosts its effective cash back earning rate and serves as a welcome contrast with some higher-end cash back cards, such as American Express’s Blue Cash Preferred ($95 annual fee). High Potential Earning Rate. Citi Double Cash’s maximum effective cash back earning rate is an unlimited 2%. That’s higher than that of many competing cards, including Capital One Quicksilver (unlimited 1.5%). No Caps, Rotating Categories, or Activation Requirements. Citi Double Cash offers flat, across-the-board, unlimited cash back earning power. You never have to worry about spending caps, rotating categories, or pesky category activation requirements. That’s not the case with Chase Freedom and Discover it, both of which have quarterly rotating spending categories with caps and activation requirements. First Late Fee Waived. You don’t have to pay a late fee on your first missed payment as a cardholder. This is a great benefit for cardholders who rarely miss payments. Nice Fringe Benefits. For a no-annual-fee cash back card, Citi Double Cash has a nice lineup of fringe benefits and cardholder protections. Citi Private Pass, which offers rare access to high-demand and exclusive events, is particularly useful for cardholders who seek out entertainment. No Sign-up Bonus. Citi Double Cash doesn’t have a sign-up bonus. That puts it in a distinct minority of cash back cards. The sign-up bonuses of most comparable cards range from $100 to $150. Has a Penalty APR. Citi Double Cash charges penalty interest. That’s a big problem for cardholders who miss payments. Many competing cards, including Capital One Quicksilver, don’t have penalty APRs. Has a Foreign Transaction Fee. This card’s foreign transaction fee is a bummer for cardholders who travel outside the U.S. with any frequency. Capital One Quicksilver and Discover it both eschew foreign transaction fees, cutting globe-trotting cardholders a major break. Minimum Redemption Threshold Disadvantages Light Spenders. Citi Double Cash’s $25 minimum redemption threshold is a significant hurdle for light spenders, who can take a long time to accumulate enough rewards to cash out. If you’re seeking a cash back card that lets you redeem in any amount, look instead to Discover it or Capital One Quicksilver. Rewards Accumulate at a Flat Rate. If you focus your spending in one or two favored categories, such as gas or groceries, and are unlikely to exceed the associated cap, consider a grocery or gas credit card such as the BankAmericard Cash Rewards Mastercard or Blue Cash Everyday from American Express. Rewards Expire After 12 Months of Account Dormancy. If you don’t make any purchases or payments on your account for 12 months or longer, your accumulated cash back rewards expire. This is a drawback if Double Cash isn’t your primary credit card, and thus isn’t used regularly. Few other cash back cards put an expiration date on earned rewards. The Citi® Double Cash Card is billed as “Citi’s best cash back card.” With unlimited 2% cash back and no annual fee, that’s not a hard case to make. You could go further and say that Double Cash is one of the best cash back cards around, period. If you use this card heavily and make timely payments, you can earn rewards at a faster clip than just about any other flat-rate cash back card. That said, Double Cash isn’t perfect. If you prefer a rewards program without redemption minimums, or one with favored spending categories that accelerate your cash back earnings past 2%, you need to look elsewhere. There’s no right or wrong here – just optimal cash back earnings that fit your lifestyle. The Citi® Double Cash Card is an ideal primary credit card for moderate and heavy spenders who have far-ranging spending needs and don’t mind redeeming for cash or cash equivalents. It’s not ideal for light spenders who concentrate their spending in a few favored categories, such as gas or grocery purchases. The Citi Double Cash Card’s high earning rate, long intro APR period, first late fee waiver, and its lack of an annual fee, spending caps, and rotating categories are all great benefits. However, the penalty APR, foreign transaction fee, rewards expiration after 12 months of inactivity, and the lack of a sign-up bonus erode its value. 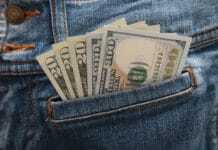 Overall, the Double Cash Card is an awesome cash back card for heavy, general spending.